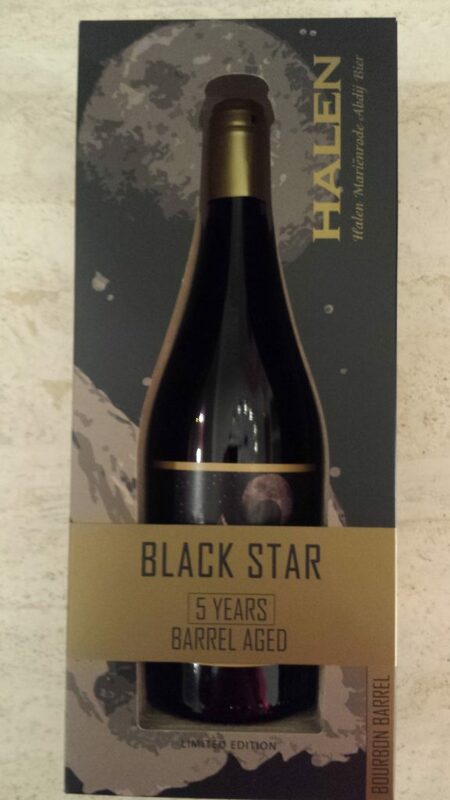 The base of the Black Star is the Halen Mariënrode Quadrupel 12 that has ripened for five long years on old oak barrels. These oak barrels have served in their previous lives to mature peated whiskey and bourbon. When tasting the Black Star, this peat and bourbon aroma is all around. This is a beer that is five years old, and yes it is black. Limited production with numbered bottles 800 bottles.